Posted on April 19, 2019 at 11:46 am. Please join us on Friday, April 26th, at 3 p.m. in the Hatfield Room for our final Faculty Colloquium of this semester. Title: Do Foreign Aid Contributions Foster Cooperation and Generosity Amongst Donors? This talk provides an overview of my research into two aspects of the motivations underlying foreign aid donations: cooperation and generosity. The first part of the presentation explores whether donors cooperate when giving foreign aid to developing countries. The data on foreign aid flows is disaggregated by sector (such as education, health and governance) to examine if the sector receiving aid induces donors to coordinate or free-ride. Two allocation processes are tested: non-cooperative (Nash-Cournot) and cooperative (Lindahl). The empirical analysis strongly rejects the cooperative Lindahl model with evidence of most donors adhering to the non-cooperative Nash-Cournot model. The second part of the presentation provides an analysis of the impact of systemic financial crises on foreign aid flows through direct bilateral transfers to developing countries and channeled through multilateral institutions. The study reveals that both bilateral and multilateral aid experience statistically significant declines after donor financial crises. However, multilateral aid experiences more severe and prolonged declines than bilateral aid. This is perhaps because donors, in the aftermath of the crises, tend to prioritize their strategic interests by not cutting back bilateral aid as much as multilateral aid. Donors also tie bilateral aid to purchases of goods and services to businesses in the donor country and this tends to reduce the concessionality and effectiveness of foreign aid. Posted on April 12, 2019 at 8:46 am. Please join us on Friday, April 19th, at 3 p.m. in the Hatfield Room for our tenth Faculty Colloquium of this semester. Abstract: The behavioral sciences can make vital contributions to environmental sustainability efforts, as relevant basic and applied psychological research has grown considerably over the past dozen years. Recently, conservation biologists, environmental policy makers, and other experts have recognized the importance of engaging with experts on human behavior (i.e., psychologists) in order to effect behavioral change in a sustainable direction. Lagging behind this trend, however, is the curricular integration of psychology and environmental sustainability in most psychology or environmental science/studies programs (ESS). 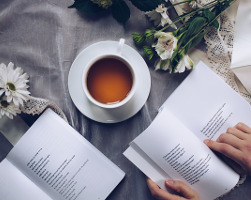 Consequently, most psychology majors are graduating with no background in applying the field to promoting sustainability, and ESS students lack explicit education focused on understanding and changing human behavior. This talk provides an introduction to the rationale for integrating sustainability topics into psychology courses, and psychological concepts into ESS classes, along with some strategies for doing so at the level of individual course units as well as full courses. 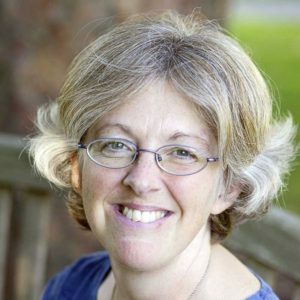 Note: Prof. Sue Koger has co-authored textbooks and numerous articles on Psychology for Sustainability, and is also the co-author of https://www.teachgreenpsych.com/, a website of Instructor Resources created to assist instructors from various departments (Psychology, Environmental Science, Environmental Studies, Sustainability Studies, etc.). 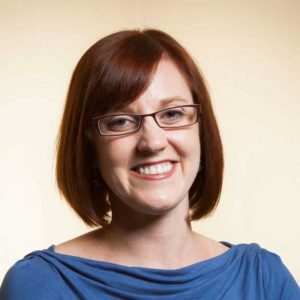 On Tuesday evening, April 9, at 7:00pm Professor Dana Frank from the University of California at Santa Cruz will discuss the crisis in Honduras that is fueling immigration to the U.S. She will be speaking in the Hatfield Room. This event is sponsored by International Studies, Latin American Studies, and History. We hope to see you there. Why are the Migrants Fleeing Honduras? Resistance, Terror, and the United States in the Aftermath of the Coup. 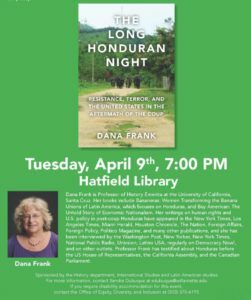 Dana Frank will discuss her new book, The Long Honduran Night: Resistance, Terror, and the United States in the Aftermath of the Coup, which examines Honduras since the 2009 coup that deposed democratically-elected President Manual Zelaya. In the book, she interweaves her personal experiences in post-coup Honduras and in the U.S. Congress with a larger analysis of the coup regime and its ongoing repression, Honduran opposition movements, U.S. policy in support of the regime, and the Congressional challenges to that policy. Her book helps us understand the root causes of the immigrant caravans of Hondurans leaving for the U.S., and the destructive impact of U.S. policy. 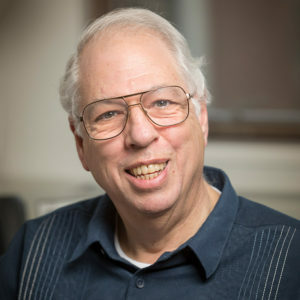 Dana Frank is the Professor of History Emerita at the University of California, Santa Cruz. 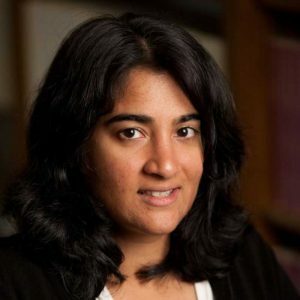 Her books include Bananeras: Women Transforming the Banana Unions of Latin America, which focuses on Honduras, and the Buy American: The Untold Story of Economic Nationalism. Her writings on human rights and U.S. Policy in post-coup Honduras have appeared in the New York Times, Los Angeles Times, Miami Herald, Houston Chronicle, The Nation, Foreign Affairs, Foreign Policy, Politico Magazine, and many other publications, and she has been interviewed by the Washington Post, New Yorker, New York Times, National Public Radio, Univsion, Latino U.S.A, regularly on Democracy Now!, and on other outlets. Professor Frank has testified about Honduras before the U.S. House of Representatives, the California Assembly, and the Canadian Parliament. Posted on April 3, 2019 at 10:53 am. Please join us on Friday, April 12th, at 3 p.m. in the Carnegie Building for our ninth Faculty Colloquium of this semester. Title: Globalizing Emotional Labor: How to Account for Cultural Differences? Abstract: Increasingly, work stress and its negative consequences are receiving attention as the costs to individuals, organizations, and our society mount. Emotional labor, or process byIncreasingly, work stress and its negative consequences are receiving attention as the costs to individuals, organizations, and our society mount. Emotional labor, or process by which employees manage their emotions to meet organizationally mandated emotional display rules (Hochschild, 1983), is a work stressor that is associated with a range of cognitive, affective, and behavioral strains for employees. Emotional labor is particularly relevant and detrimental for service workers, an occupational group that is rapidly growing globally. In this talk, I will discuss a stream of research examining emotional labor in cross-cultural contexts. Several projects, conducted with a global research team, examine the impact of national, organizational, and individual level cultural differences on the emotional labor-strain process in the United States and Turkey. Cultural values at each level impact and interact to impact service employee strain. Additionally, a new research initiative developed with the support of WU, AGSM, and the Fulbright Specialist program will be discussed. Note: There will also be a special TGIF reception following the lecture that will be open to faculty from all schools. This is the third TGIF event this semester with Colloquium speakers from across the University. These opportunities for cross-University gathering and conversation are sponsored by the Office of the Provost and Senior Vice President. Posted on April 1, 2019 at 4:03 pm. 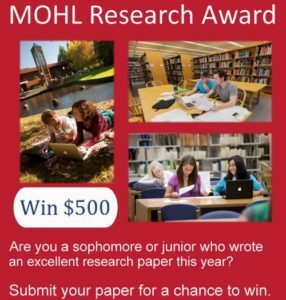 If you are a student and have written and researched an excellent paper, why not submit your paper for consideration for the MOHL Research Award? 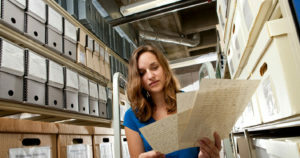 Sponsored by the Hatfield Library, this award recognizes and rewards Willamette undergraduate students in any discipline who demonstrate outstanding research using library and information resources in writing a paper. 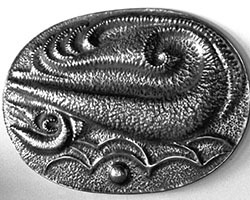 Up to two awards of $500 each are available. Student papers written in the sophomore or junior year as part of regular class work are eligible to be considered for this award. The paper must be 7 pages or more in length and written in the current academic year (fall 2018/spring 2019). Papers done as a senior project but in the junior year are excluded. Papers need to be submitted by the last day of finals May 14, 2019 at 5:00 pm. The faculty mentor who worked with the student during the production of the paper is asked to submit a statement of support and a copy of the assignment. Faculty, please encourage your best student writers/researchers to apply! Posted on March 26, 2019 at 9:39 am. Please join us on Friday, April 5th, at 3 p.m. in the Hatfield Room for our eighth Faculty Colloquium of this semester. Abstract: Much current discussion among college and university faculty focuses upon the notion of a flipped classroom. But how might that pedagogy be implemented in actual introductory courses, particularly in the sciences? This talk will first review several different pedagogical approaches commonly used in STEM fields, and then expand upon a workshop-style pedagogy. At Grinnell College, for example, all introductory courses in biology, computer science, statistics, and psychology follow this workshop style pedagogy that integrates class lecture/discussion with laboratory experiments. Some sections of introductory chemistry and physics follow a similar approach. To illustrate the general approach, the talk will highlight the pedagogy used in introductory computer science courses at Grinnell College, where students complete about 47 laboratory exercises, and I lecture about 4 hours per month (mostly in 5-10 minute segments). Altogether, these courses provide fine examples of one type of flipped classroom. As will be discussed, the approach pushes active learning to an extreme, and our experience suggests that this pedagogy allows us to cover about 20% more material than our traditional approach (with separate lectures and labs), and our students perform better on tests. The approach also seems to help student recruitment and retention. Posted on March 22, 2019 at 11:27 am. Originally published on November 17, 2015. From its inception Willamette has, as with all colleges, been concerned with distinguishing itself from its neighbors. 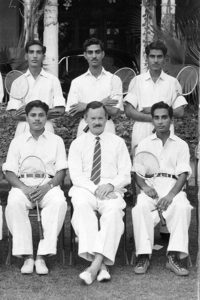 In its early days this was vital, while the university struggled financially. Willamette had been founded with the explicit charge to find itself an evangelical Christian patron, but the Methodist Church could not adequately defray the University’s expenses, and sections IV through IX of the University’s bylaws, written 1842, deal with how benefactors could pay subscriptions, or endowments, of fifty through five hundred dollars (Hines, 147-150). A donation of fifty dollars would earn the donor “a certificate of patronage” which entitled the recipient to “a voice in all the business of the society relating to the institution during his natural life” (Hines, 147) A donation of five hundred dollars, which was the maximum the founders conceived of, entitled the donor to a perpetual scholarship at Willamette–that is, that they or their heirs could attend Willamette without tuition (Hines, 148). At the time, five hundred dollars would have paid tuition for a year (Gatke, 311). These donations, the constitution specified, were to be paid at least one third in cash orders, and the remainder in “tame neat cattle, lumber, labor, wheat, or cash.” (Hines, 150). 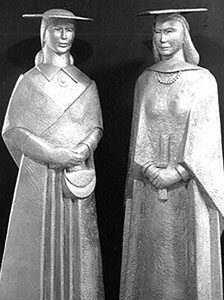 The perpetual scholarships were a losing venture; the initial $500 investment, quickly spent, robbed Willamette of much-needed tuition money for years to come (Gatke, 311). In fact, the last perpetual scholarship was cashed in the late 1960s, after which Willamette reclaimed it. Attracting paying scholars by distinguishing itself from neighboring colleges has therefore been a priority for Willamette since its inception. By the turn of the 20th century, Willamette wanted to advertise its longevity, but oscillated on how to accurately compare its age to that of other colleges. Yearly bulletins printed by Willamette between 1865 and 2009 acted as both commemorations of the past year and advertisements to potential applicants, and so are a good medium to track the changes in Willamette’s self-presentation over time. The 1920-21 bulletin says, “Willamette University is not only the oldest college on the Pacific slope of the United States, but its connection with the early history of this region is perhaps more vital than that of any other institutions that has sprung up on the far western soil” (my emphasis). Ten years later Willamette had opted for the affirmative version of that claim, saying, ‘Willamette University, with one possible exception, is the oldest institution of higher learning west of the Mississippi River. The 1931-32 bulletin avoided that “possible exception” by switching its range, saying, “Willamette University is the oldest institution of higher learning west of the Missouri River.” In 1935-6 the bulletin names the affiliation of this school, perhaps in an effort to discredit it: “Willamette University, with the exception of a Catholic school in Missouri, is the oldest institution of higher learning west of the Mississippi River.” By 1947-48, Willamette had done away with such a detailed statement and adopted the slogan,“Oldest Institution of Higher Learning West of the Rockies”. 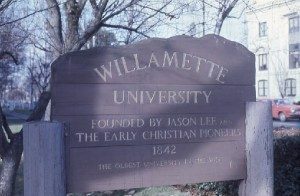 By 1957, according to a photo in the corresponding bulletin, a sign on Willamette property declared, “Willamette University, Founded by Jason Lee and the Early Christian Pioneers, 1842, The Oldest University in the West.” Through the 1960’s, 70s, and 80s, Willamette set aside its claims of longevity to focus on other forms of advertising, color printing and much denser use of photos. In 1994, however, the claim resurfaces with a reformulation of who Willamette is, saying, “Willamette University, the oldest college in the west” (my emphasis). And in 2003 we see the current Willamette compass logo for the first time with a reversion to use of “university,” but now with a different conception of primacy: “The First University in the West” underneath. This remains our current claim to fame, but with the past as our guide, we can expect continued revisions to how Willamette advertises its age vis a vis other universities. Gatke, Robert Moulton. “Chronicles of Willamette: The Pioneer University of the West.” Portland: Binfords & Mort, 1943. Hines, Gustavus. “Oregon and Its Institutions; Comprising a Full History of the Willamette University, The First Established on the Pacific Coast.” New York: Carlton & Porter, 1868.